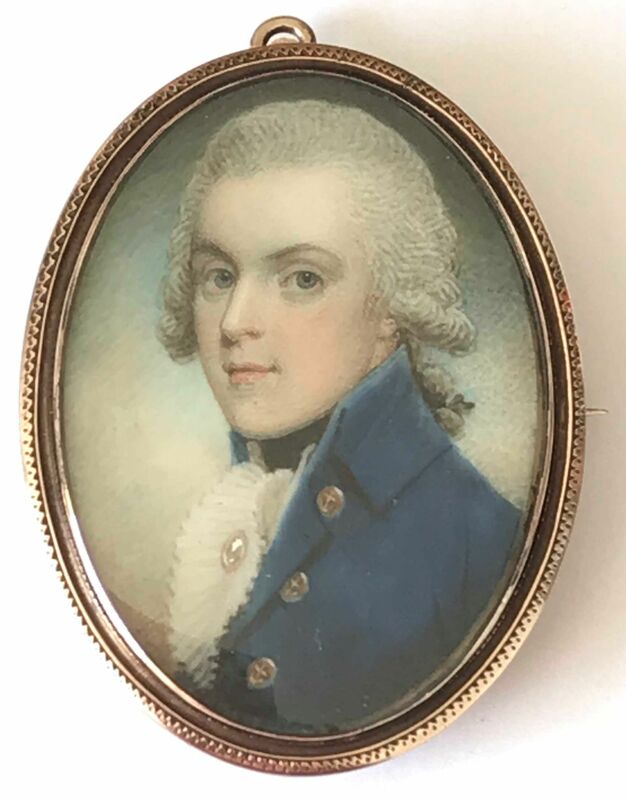 This handsome eighteenth century portrait miniature by Samuel Shelley shows a young naval officer set against a clouded sky background wearing a blue coat with anchor embossed brass buttons and with a gold frill pin on his chemise. 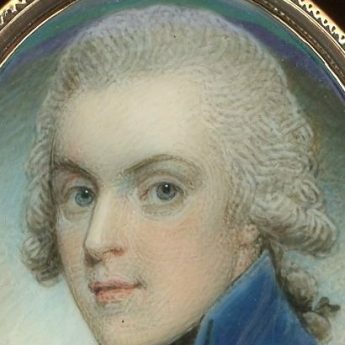 His powdered wig with buckles (rolled curls) is worn en queue and tied with black ribbon. 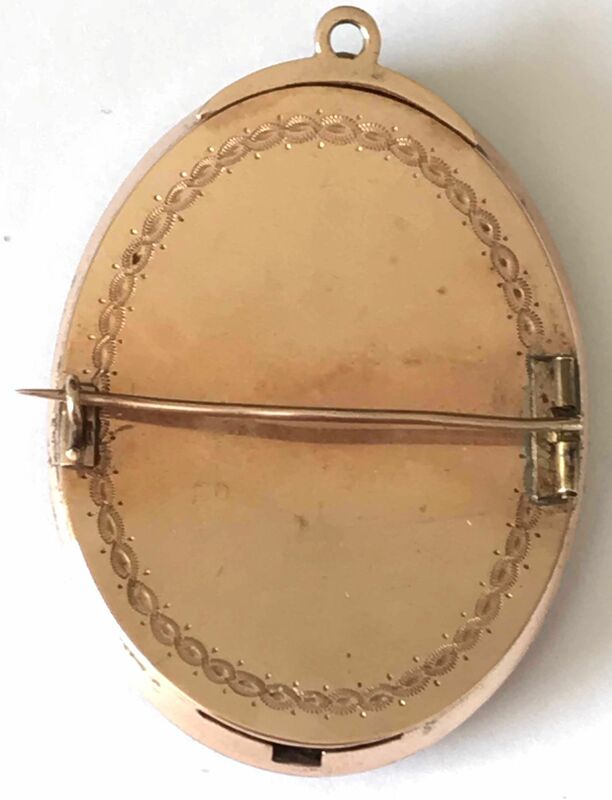 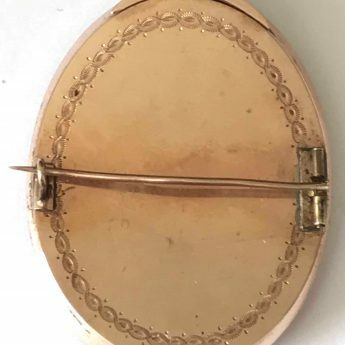 The miniature is set in the original gold bracelet frame with decorative edging, the reverse with bright cut detailing and a later brooch attachment. 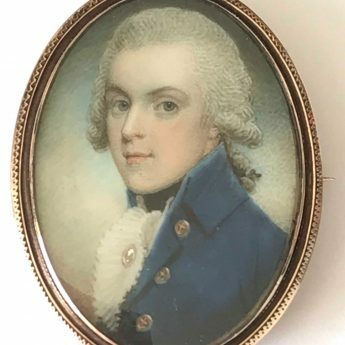 Coming from a modest background, Samuel Shelley (1756-1808) is thought to have been self-taught before he entered the Royal Academy Schools at the age of seventeen. 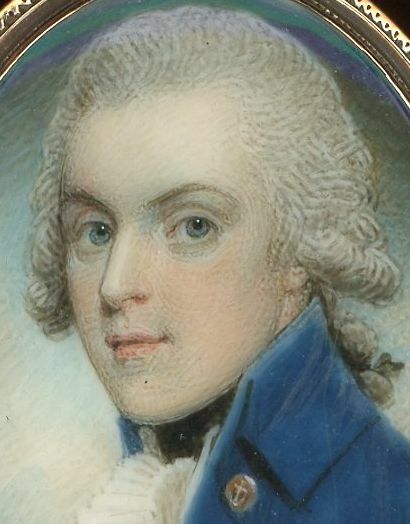 He developed a distinctive style of painting that often conveyed the character of his sitters. 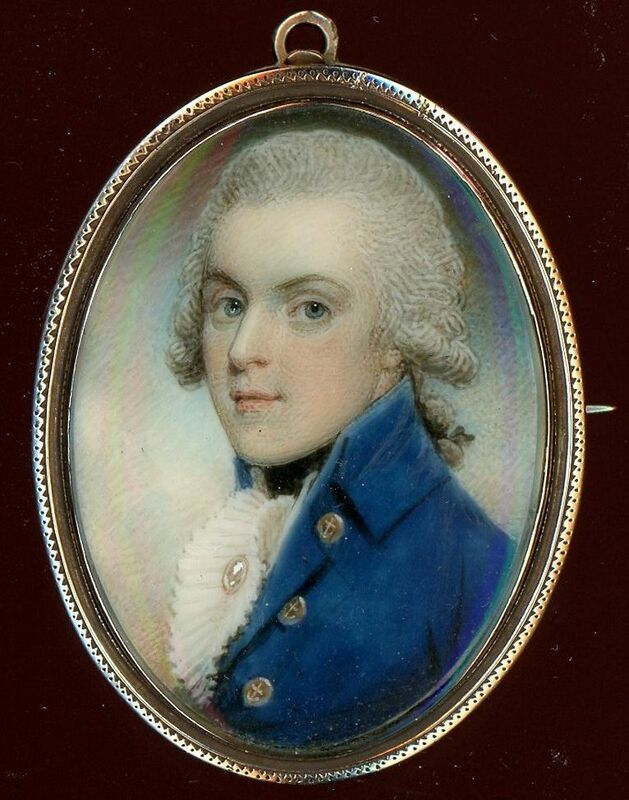 He exhibited widely between 1772 and 1804.